Ramen in Japan is the best, no one can argue about that. But the secret is: there are actually many awesome ramen shops and hidden gems within the United States too!! 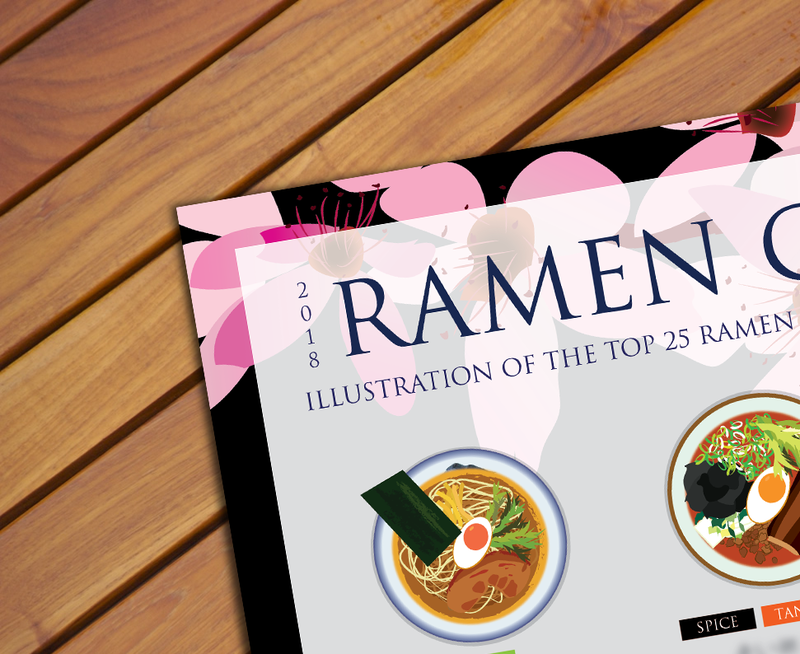 For this project, I would like to share "The Top 25 ramen shops throughout the United States" in a form of a graphic art poster! It is available in digital version now! OMG that´s such a great idea. This way also people outside Japan in the US can find good and authentic japanese ramen. Can you get good Low Fat Instant Ramen in the United States ?? I've got the other three Ramen charts! Looking forward to adding this one to the wall! I love that poster! I can't wait to see what is listed on it as the top 25 ramen places in the USA--Austin, TX has some good ones! I'll try these one day..
Just saw this poster shared -- pretty cool project! Omg ramen is my absolute fav! Thanks for the great Ramen info. My husband loves Japanese food. Your Ramen in the US would make a great gift for him! This is a cool project. I'd love to track down some of the ramen myself! Love your posters...so cool!!! I particularly like the Japanese Snacks one....yum!!!! Amazing, I need to really try these places! I'd like to visit every one of those places! I need to get out more !